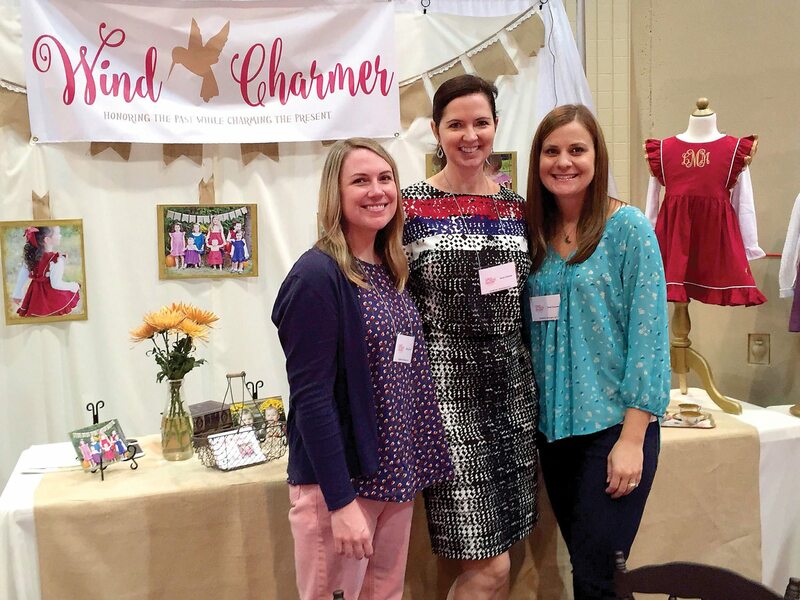 When sisters-in-law Jamie, Mary Beth and Sandi Meeks went into the clothing business together, they stuck to what they knew best: girls and dresses. 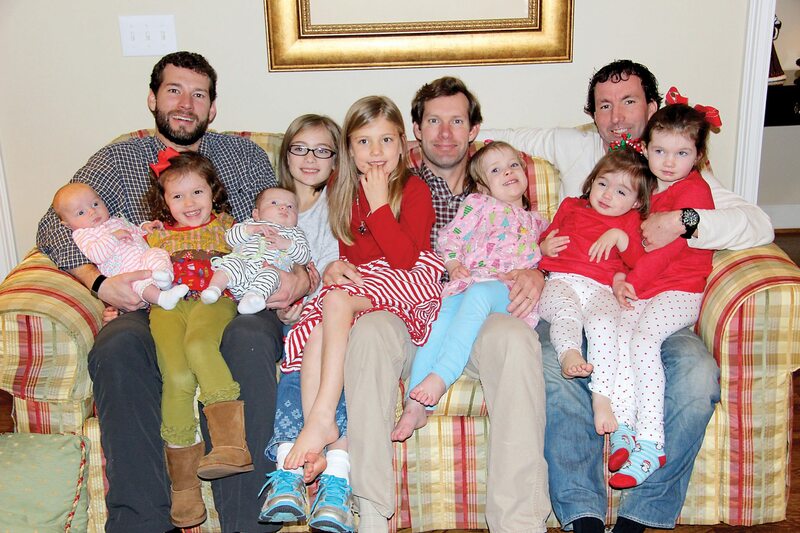 Married to three brothers from Vestavia Hills, the women are mothers to a collective eight girls under the age of 11. “It’s been so much fun,” Mary Beth said. “Just our family coming together to start (Wind Charmer) and seeing the guys really get more in touch with their feminine side.” She said the women have had fun trying to teach their husbands about piping and lace. The women were told that while their mother-in-law was pregnant with their husbands, she would always pray she would have a girl. Though she never got her daughter, she did get eight granddaughters. The family has dubbed their gaggle of girls a charm, which happens to be the proper name for a group of hummingbirds. The name of the company is Wind Charmer, an ode to the hummingbird, which can be found embossed in gold on every dress. She added that when they are young, it seems childhood lasts forever, but watching her oldest on the cusp of 11 has made her realize that time is precious. “We want to be able to soak up their childhoods and remember at least all of the good parts,” Jamie said. When Mary Beth and Sandi delved into the world of fashion, they saw dresses as a way to remember their own childhood. As she watches her children grow and feels her life growing more hectic, Mary Beth said, her hope is that her daughters will have “magical” memories just as she did as a child. One way she revisits those memories is by delving into a chest of dresses that her mother keeps in her home. “Every dress I look at I can see a memory and everything I did in those dresses,” Mary Beth said. “I wanted the same thing for my girls and something that honored the people from my past. My grandmothers, my aunts, everybody.” That is where the vintage aspect of the designs comes into play. Mary Beth plays the role of fashion designer for the company, which is fitting as she studied fashion design in college. When she’s not busy preparing the company’s spring clothing line, she is seeking out inspiration. “I like to look and see what colors are going to be in trend for that season,” she said. She also keeps in mind what colors would be appropriate for the vintage aspect of the garment, following what shades would have been popular during the time period that inspired each piece. The ladies don’t skimp on quality either. They made sure the fabric and production stayed in the USA so the buyers get dresses that stand the test of time. Through the design process, the Meeks women said, they have found a deeper connection to the past as they listen to their family members share stories of their favorite childhood dresses. “We had a dress that my mother pulled out that was my grandmother’s,” Jamie said. “It was made by my grandmother’s aunt. My grandmother passed away over 20 years ago and she was 70-something then. So, there is no telling how old this dress is.” The dress had a distinct hand-sewn lace that Mary Beth said she felt inspired by. Thanks to that dress, Wind Charmer’s spring line will include a dress named after Jamie’s grandmother, inspired by the vintage lace. According to Jamie, girl’s clothing styles on the market today span a broad spectrum, giving her daughters clothing options she isn’t necessarily comfortable with them wearing. With Wind Charmer, the dresses are kept simple with the ability for the owner to accessorize any way they choose to bring out their own personality. For more information on Wind Charmer, visit their website at www.windcharmer.net.